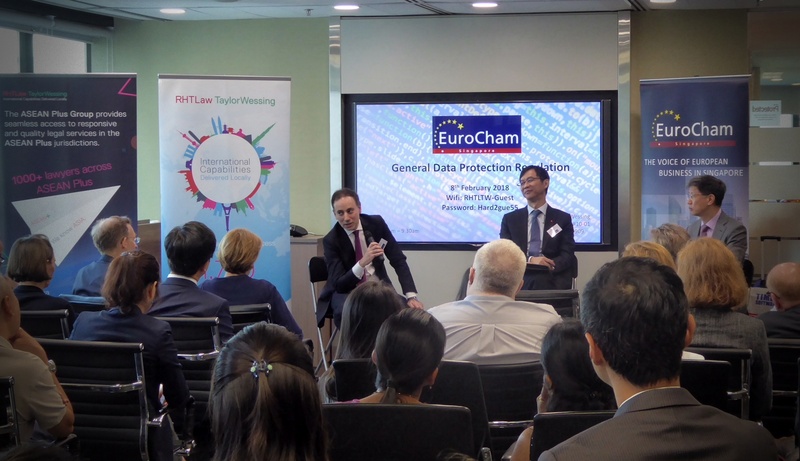 EuroCham hosted a session on the EU General Data Protection Regulation (GDPR) that comes into force on 25th May 2018. Mr. Bruno Gencarelli, Head of Unit in charge of international data flows and consumer protection at the European Commission, gave the audience an explanation of this regulation that impacts all companies that (will) have business dealings with clients based in the EU. 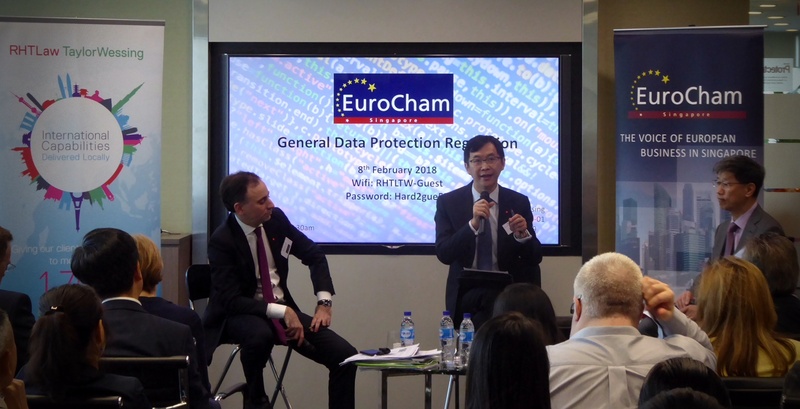 The presentation was followed by a panel debate moderated by Mr. Jonathan Kok, Head of RHTLaw Wessing’s Intellectual Property & Technology Practice, during which Mr. Gencarelli and Mr. Tan Shong Ye, Partner at PWC Risk Services, further discussed the implications of the GDPR for businesses in Singapore and Asia. Mr. Gencarelli started by explaining the three main reasons for establishing a new European framework on data protection: technological developments and globalisation, constitutionalisation of the fundamental right to data protection, and fragmentation of the legislative framework with different translations of the previous directive into national laws. Implementing a harmonised and simplified framework with one single set of data protection rules for the EU that creates an equal level playing field and cuts the red tape was therefore unavoidable and much needed. The new framework offers rules that are fit for the digital single market, puts individuals in control of their own data and ensures a modern data protection governance system. Instead of treating data based on a ‘one size fits all’ approach, it is treated based on the risks they impose from a privacy point of view. Mr. Gencarelli emphasised that high standards of data protection contribute to free, secure and competitive trade flows. He pointed out that the European Commission is doing everything it can to make the transition period as smooth as possible for companies affected by the regulation. The EU’s webpage on the GDPR offers a one-stop-shop for companies to find out everything they need to know in the first stage of implementation as well as thereafter. Also with regards to international transfers, new toolkits have been introduced. During the panel debate a range of topics were discussed including the implications of the GDPR for companies with different levels of operations in the EU, flexibility of the regulation in light of technological developments and responsibilities of national data protection authorities of EU Member States. 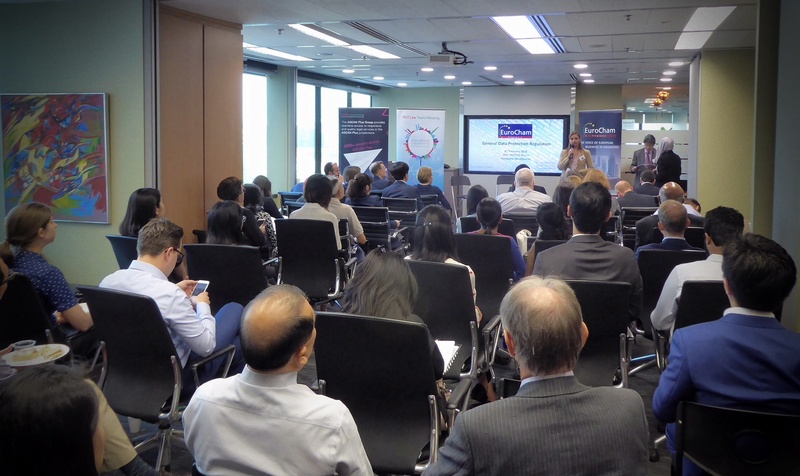 EuroCham looks back on an informative and insightful session and would like to thank Mr. Gencarelli, Mr. Tan, and Mr. Kok warmly for their valuable contributions. 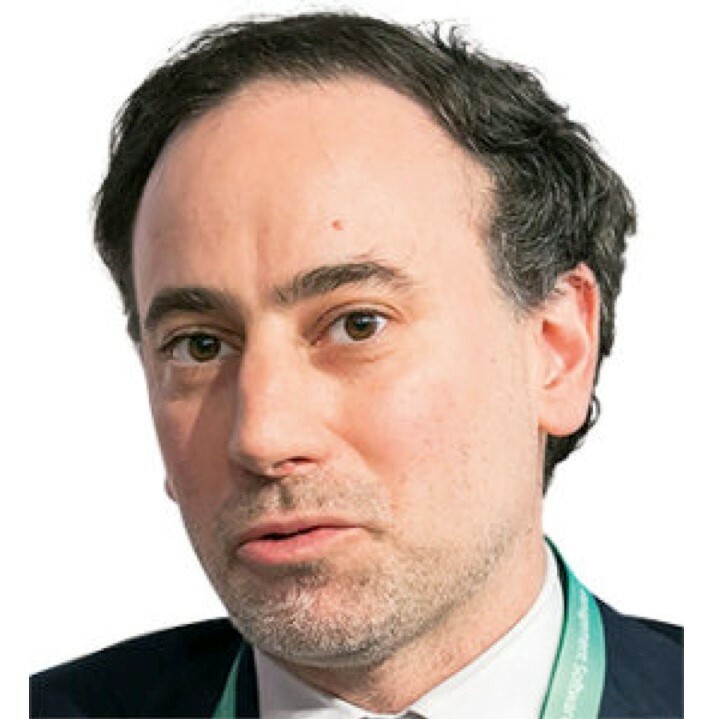 Mr Bruno Gencarellli, Head of Unit in charge of international data flows and protection and consumer at the European Commission will be visiting Singapore. Mr Gencarelli will explain the impact of the GDPR for business in Asia. Singapore’s small and medium enterprises (SMEs) that have business dealings with clients based in the European Union (EU) will need to be aware of the ne new the European Union (EU) General Data Protection Regulation (GDPR). What will mainly change? SMEs will need to rethink the way they manage and protect personal data in order to comply with the GDPR. This breakfast talk, hosted by the European Chamber of Commerce, brings together thought leaders of the European and local companies in a wide range of industries (GMCG, ICT, Financial Services) and policy makers for a discussion on General Data Protection Regulation. 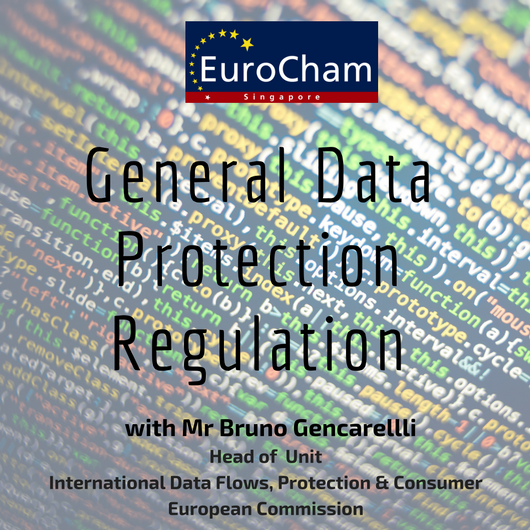 Mr Gencarelli heads the International data flows and protection unit at the European Commission (DG Justice and Consumers). He was in charge of the Commission’s work in the area of data protection in the decisive years of the legislative reform and the EU-US negotiations. In that capacity, he led the Commission’s delegation in the interinstitutional negotiations with the European Parliament and the Council that resulted in the adoption of the EU data protection reform (“General Regulation” and “Police Directive”). He was also one of the lead negotiators of the EU-US Privacy Shield and “Umbrella Agreement”. Mr Gencarelli previously served as a member of the European Commission’s Legal Service and as an assistant (référendaire) to a judge at the European Court of Justice after having practiced law in the private sector. He holds degrees in law and political science, and teaches EU Competition Law at Sciences Po Paris. He is the author of numerous publications on EU law. Partner at PricewaterhouseCoopers Risk Services Pte. 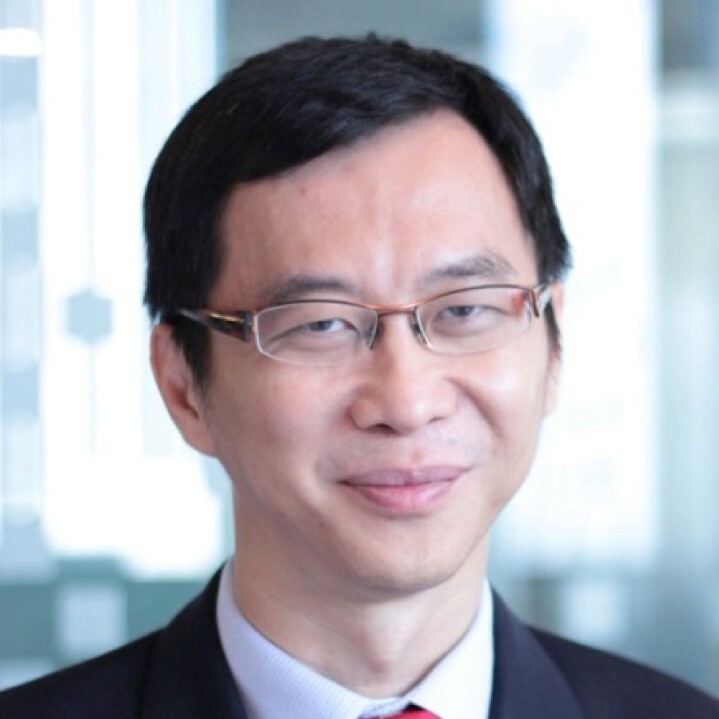 Ltd.
Shong Ye is a Partner and heads the Digital Trust practice in PwC Singapore. He has over 20 years of information technology advisory experience. He has led a wide-range of projects in IT-business alignment, governance and risk, system and performance testing, infrastructure design, data privacy & management, computer forensics, identity management and enterprise security infrastructure. Shong Ye has published numerous articles and has been widely cited in leading industry publications. 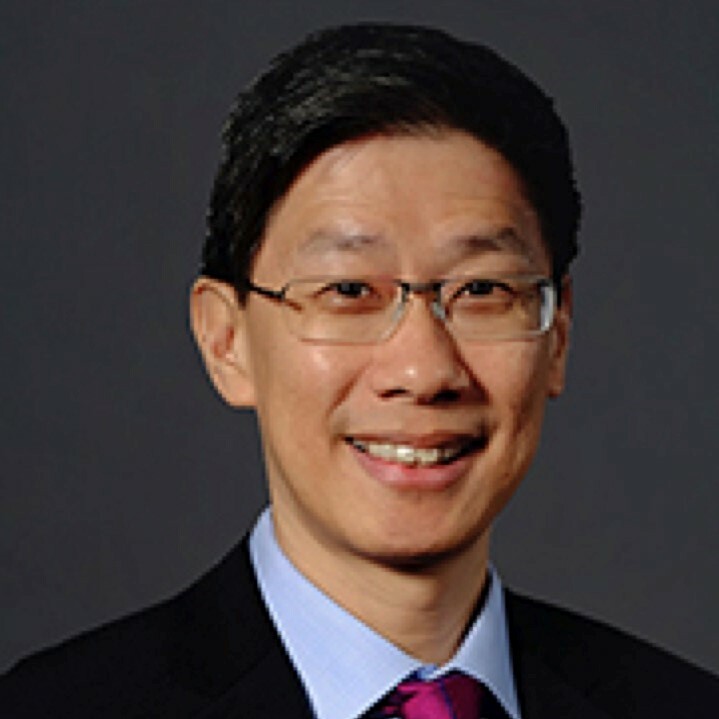 He was an adjunct professor at the Singapore Management University, and a part-time lecturer for the IT audit and controls course for the MBA programme of the Nanyang Business School. Jonathan Kok has been in practice for more than 25 years and represents clients in the Information Technology, Digital Media, Entertainment, Sports, Consumer Products & Services industries. He is the Head of RHTLaw Taylor Wessing’s Intellectual Property & Technology Practice and his areas of expertise cover intellectual property related commercial and corporate transactions for clients in these industries. He works closely with clients on the strategic protection and commercialisation of their intellectual property, ensuring that adequate protection is in place so as to facilitate the commercial exploitation of their intellectual property in Singapore and abroad. He also advises on the protection and cross-border transfer of data for clients in the tech industry. He is one of the few practitioners in Singapore with the expertise in digital media and entertainment law. His clients include prominent local and foreign advertising agencies and production companies. Jonathan is listed in Chambers, The Legal 500, Asialaw Leading Lawyers and Who’s Who Legal: Singapore for his expertise in intellectual property, franchise, telecoms, media and technology.